Pictures of the front, rear, CPU card, Graphics card w/risers and GFX card without risers. 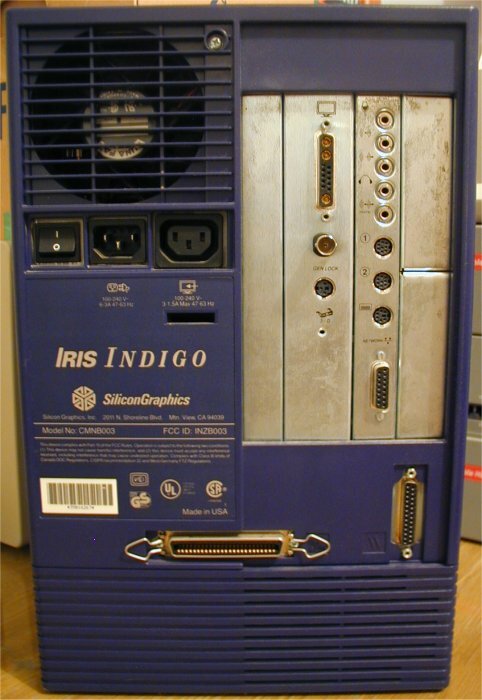 Ah, the SGI Indigo. What a beauty. 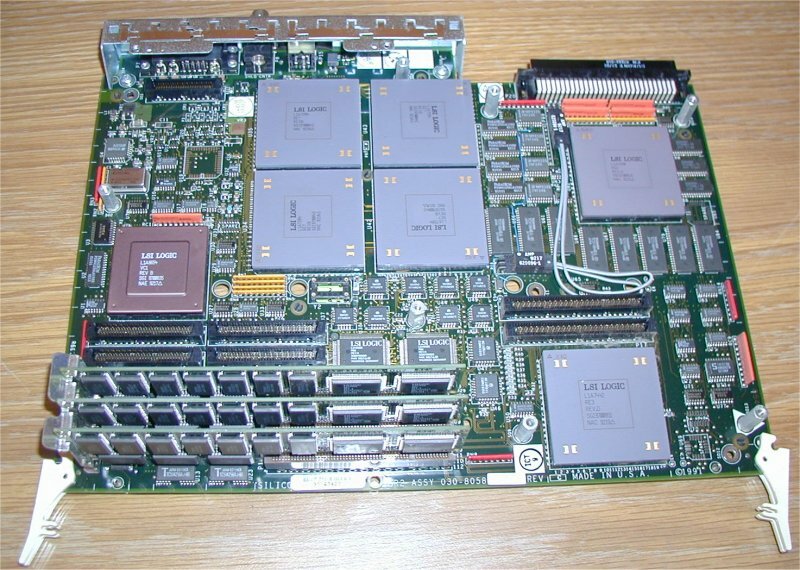 SGI make nice machines. They're good looking from the outside, and sure a mean sucker on the inside. 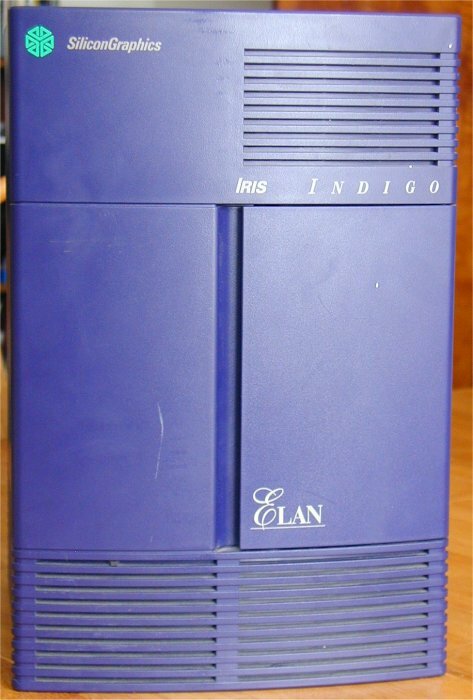 The Indigo was first introduced in 1991, and was the 3D machine to have. 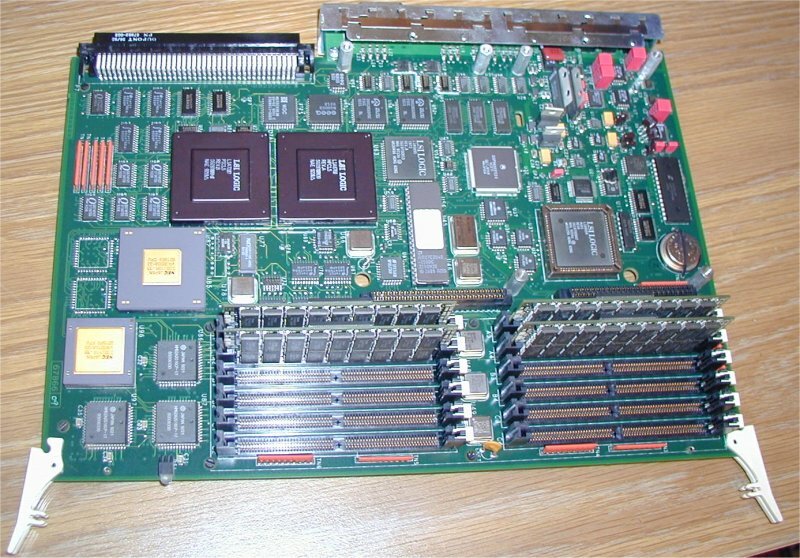 With a 33mHz MIPS R3000 processor it was no slouch (at the time), and a whole pile of graphics options, it was a real beast. My particular Indigo has the top-of-the-range 24bit quad-GPU (Yes, thats right, FOUR beautiful graphics processors) with a Z-buffer and full, rich 24bit colour. 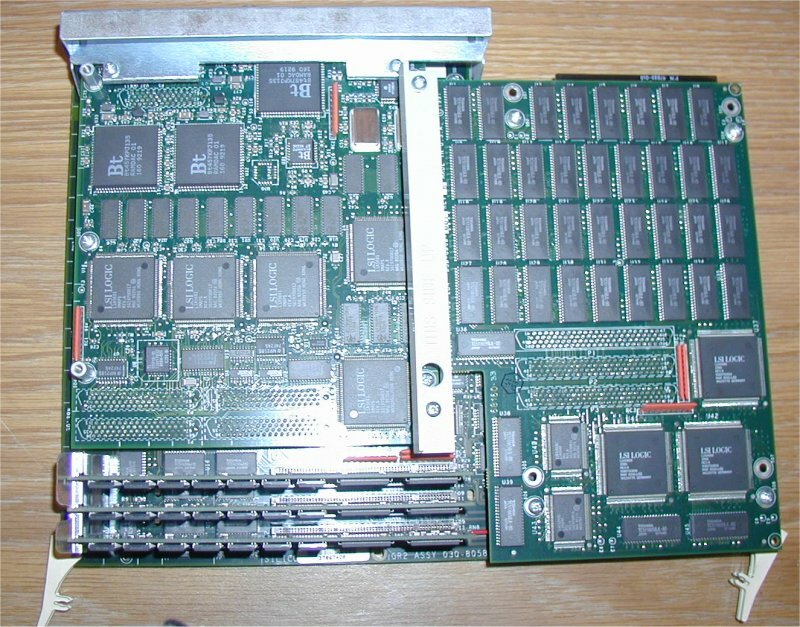 The Indigo had a SCSI backplane and could house up to three internal narrow-SCSI drives, including a Magneto-Optical 3.5" drive. Unfortunately the Indigo also uses a proprietary keyboard and mouse, which confusingly has connectors idental to the PS/2. Finding these can be difficult, because people who have them tend to charge ridiculous amounts for them. My Indigo is currently without a keyboard and mouse, making it somewhat useless to me right now. Eventually I'll find one, I have a copy of IRIX 5.3 and 4.04 and a bunch of 19" 13W3 monitors that'll work with it.